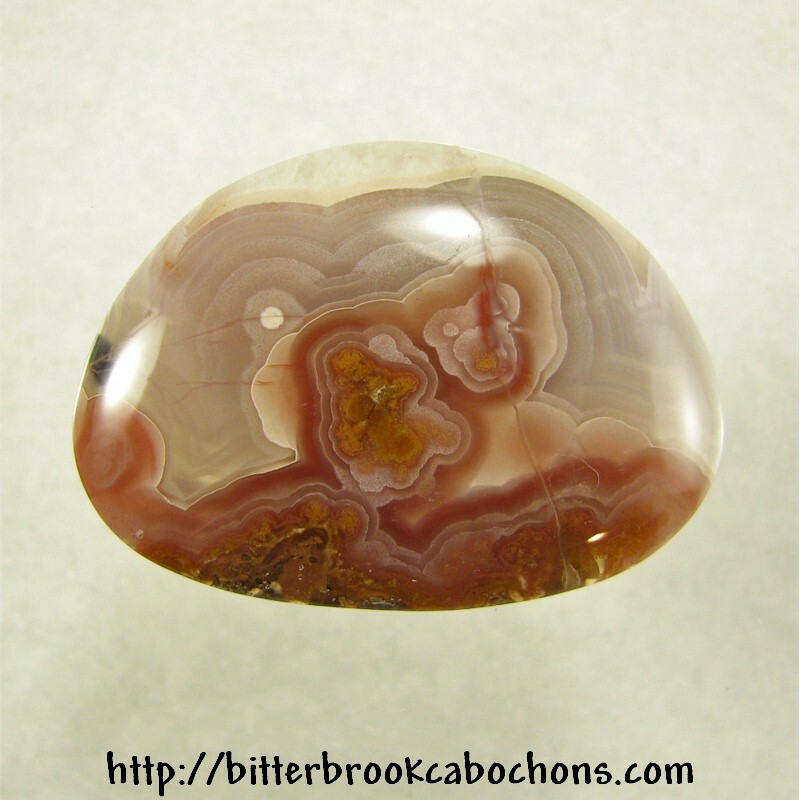 This big freeform-cut Agua Nueva cabochon is redder and prettier than the photo would indicate. I'm just having camera problems lately! This cab has a healed fracture across its middle, a tiny area of which is open at the very edge of the cab. Big and pretty, just like my husband! Dimensions: 45mm x 32.5mm x 7mm. Weight: 82.20 carats.